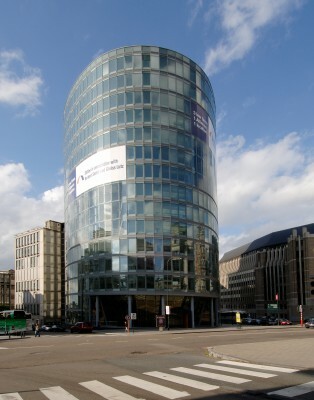 The building is located in the heart of the Brussels Pentagon. 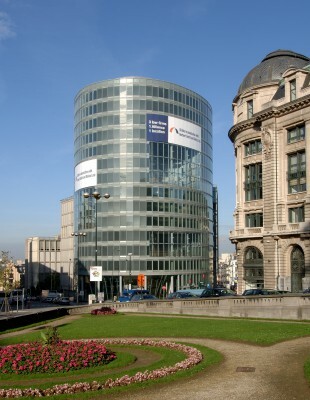 It is situated in the immediate vicinity of important passages and attractions of the city of Brussels. 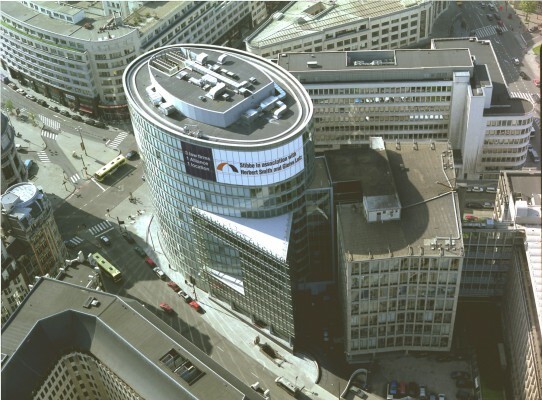 The building is the first of that scale in Brussels to use the technology of a double skin facade with natural ventilation. 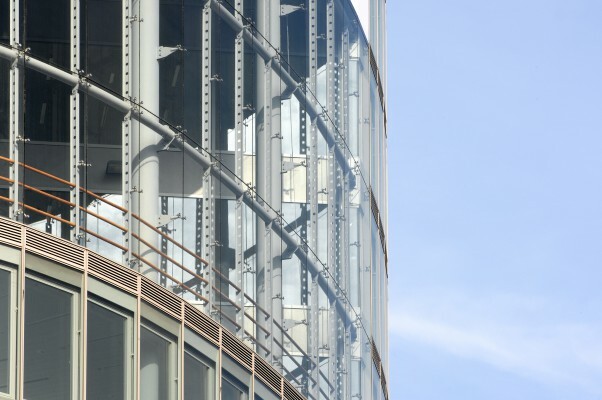 This offers the possibility to open a window regardless of the external weather conditions, even on the upper levels. The project is composed of a principal oval shaped volume and a triangular extension rue de Loxum. The principal volume is pierced by a vast atria several storeys high. 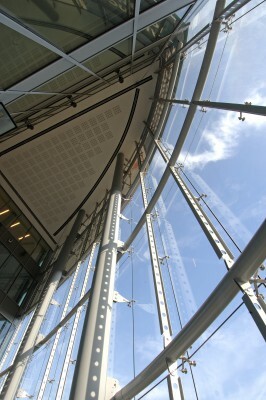 The major part of the offices open upon 1 or 2 glazed atria or winter gardens. 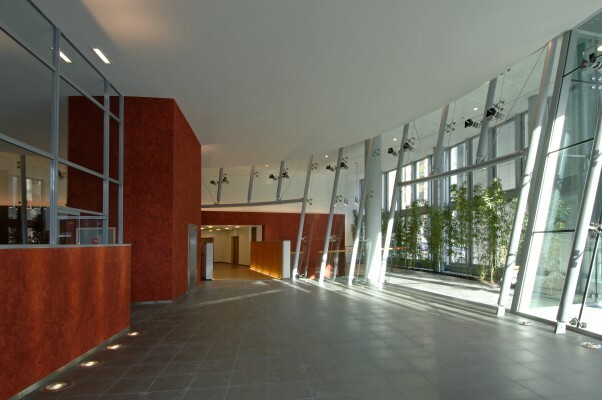 The oval form is accentuated by the treatment of the facade predominantly composed by clear glass in a continuous and smooth surface engulfing the atria facades and thus reinforcing the original volume.